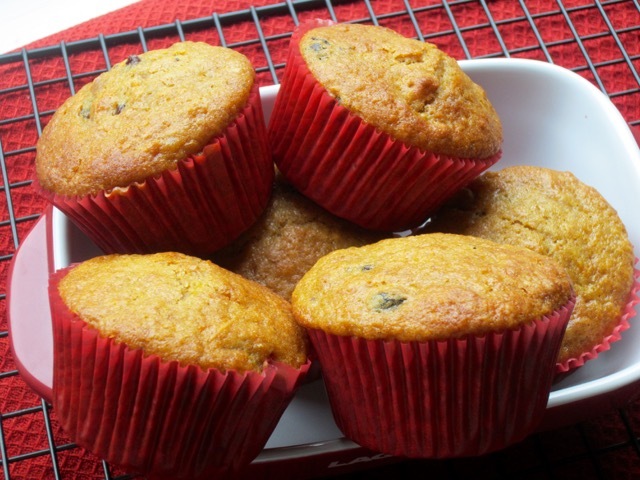 Carrots breads or muffins are always awesome. I am yet to come across a recipe that didn’t appeal to me. 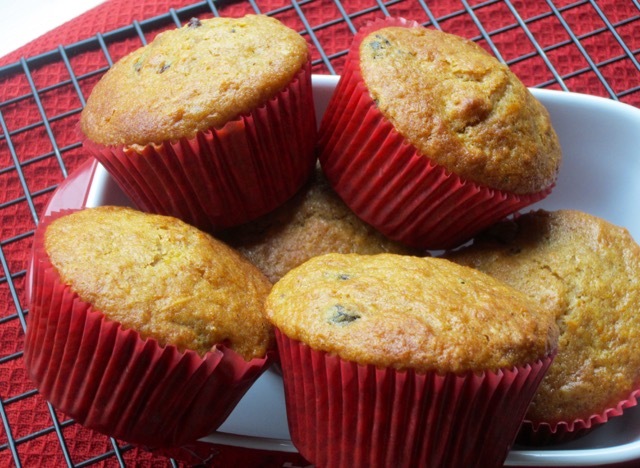 It’s essential that you add the nuts, it gives a lovely crunch to the muffins. Have a lovely day! Please assemble all ingredients before you start. Sift or whisk the flour, baking powder, baking soda, salt, and mixed spice into a large bowl. Stir in the sugar, grated carrots, and walnuts. and stir gently to combine (do not over mix) (you will have a loose batter this is okay). Fold in the soaked currants. Spoon the mixture, evenly, into the prepared muffin cases and bake in the oven for 25-30 minutes or until golden and a toothpick inserted in the centre comes out clean. Set aside 5 minutes then transfer on to the cooling rack. 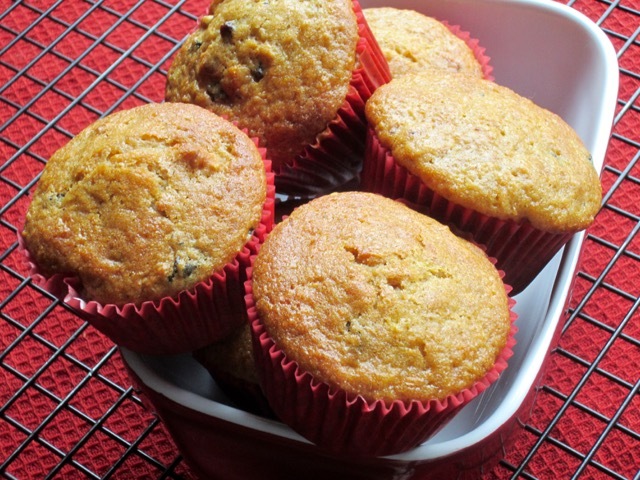 Line a 12 cup muffin pan with muffin cases. Preheat the oven to 360ºF (180ºC) convection; 375ºF (190ºC), regular, ten minutes before using. Soak the currants and zest in orange juice for 30 minutes. Sift or whisk the flour, baking powder, baking soda, salt, and mixed spice into a large bowl. Stir in the sugar, grated carrots, and walnuts. Make a well in the centre of the flour. Whisk together the eggs, oil, and milk, in a separate bowl. Pour the egg mixture into the well and stir gently to combine (do not over mix). Fold in the soaked currants. 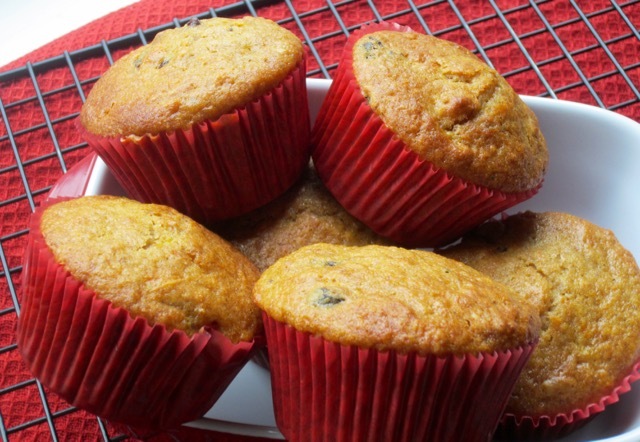 Spoon the mixture, evenly, into the prepared muffin cases and bake in the oven for 25-30 minutes or until golden and a toothpick inserted in the centre comes out clean. Set aside 5 minutes then transfer on to the cooling rack. Next What is Poppy Seed? You got my attention with this one, fur sure! 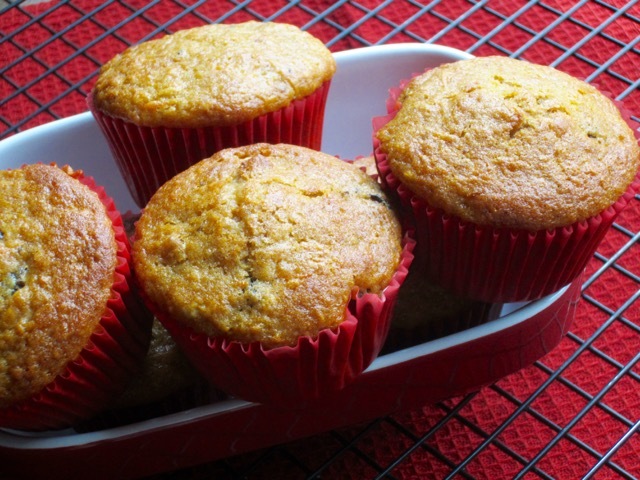 ;-> I forget how much shredded carrots add to muffins. Thanks for the reminder. I just made a moist chocolate carrot cake. It was more than good. I was so sad when it got finished. I shall share the recipe soon. Virtual Hugs!